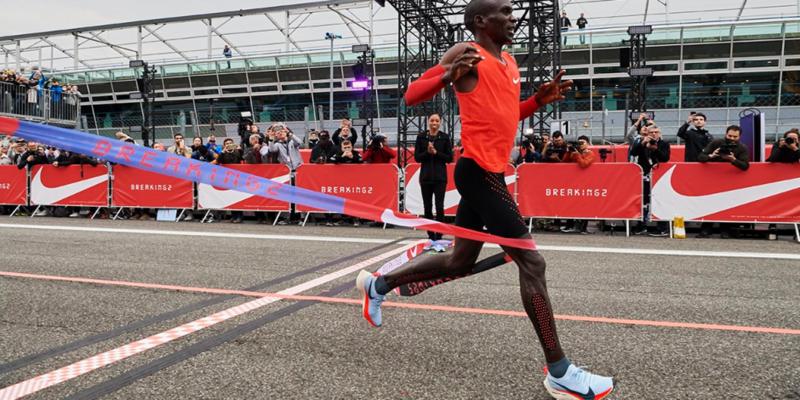 Eliud Kipchoge is undoubtedly the greatest marathoner of all times. 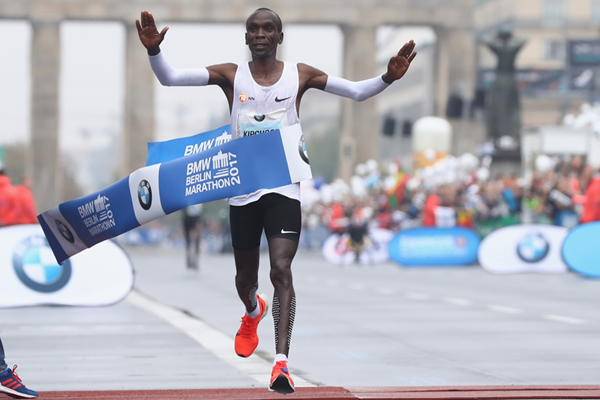 For those who came in late, he broke the World Record at Berlin by running the full distance of 42.195 km in a record time of 2:01:39 bettering the previous record held by Dennis Kimetto of 2:02:57. A full 1:18 minutes. In this article let us try to explore how much of a difference the pacers must have made for him. In the above attempt, the best pacing team was put in place. He had a team of 18 pacers, hand selected from the world’s best talent. They were divided into 6 teams of three pacers each. Each group of three paced for approx 2.50 km and pulled out allowed a fresh team to take over and continue pacing Eliud. Thus the groups came back to the route three times with rested legs. The three pacers formed a wall in front of him to block the wind. There were three pacers in Berlin. But none of them could keep the pace with him till the end. Obviously! The first pacer pulled out at 14K, the second at 16K and the last one held on till about 25K. From then on Eliud was on his own for the next 17 odd km. Practically 40% of the race distance. You can see from the above table that the race pace hardly faltered with or without pacers to help him along. How much of the better time in Breaking2 arose due to Pacers. The difference between the two timings was 1:16 minutes. But at Breaking2 he had 3 pacers into 6 teams. In Berlin, he just had 3 of them. The pacers in Berlin drew away after 25 Kms…did the lack of pacers for the last 17 km affect his pace. The above table makes it obvious that this was not so at all. Yes, for those who are not as well trained as Eliud, they matter a lot. World Record breakers are in a different class altogether. But even then they also use pacers. For the Weekend warrior athlete, pacers can make or break a good performance. But pacers can never substitute for inadequate training, mind you. This is an interesting story. Never knew that elite athletes too use pacers. This is rightly said that first timers should board a pacer’s bus in order to complete the race in a decent time with the right and well maintained pace for the race.